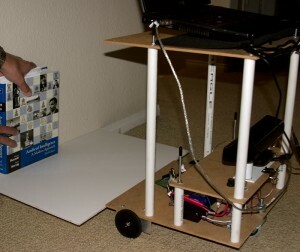 As described in previous posts until now I used an Arduino Mega controller for my Ardros robot. In most cases this controller provides more than enough power. Mainly out of curiosity but also in order to overcome problems with encoder ticks counting when my motors run at full speed I decided to give the Leaf Lab‘s Maple controller a try. The Maple is based on the 32-bit STM32F103RB ARM Cortex M3 microcontoller running at 72 MHz. Apart from the drastic speed improvements, what makes the Maple so attractive is that it uses the same pin layout as the Arduino and comes with the same IDE and hardware abstraction. As a result the transition from Arduino is fairly easy. Naturally there are differences, though. They are summarized here. 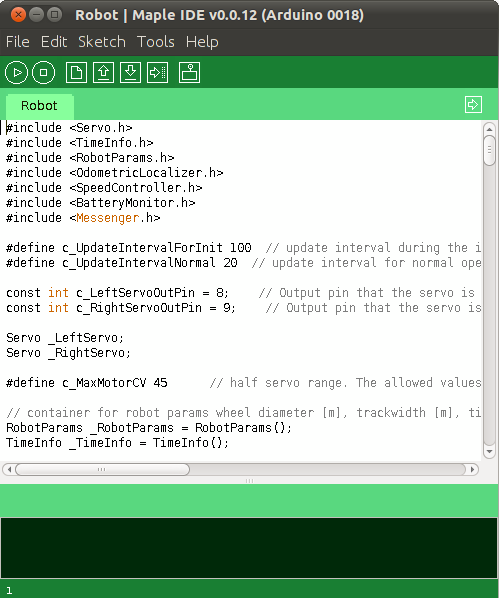 The port of the complete Arduino program including the libraries that make up the Ardros – Controller and Drive System was rather painless and is now running on my robot. The source code is available on my Google code site drh-robotics-ros. This post is based on revision 104 of the code. The relevant subdirectories are Robot and libraries. For my next robot project I am using Pittman Motors with 500 cnt/rev quadrature encoders mounted on the motor axle. 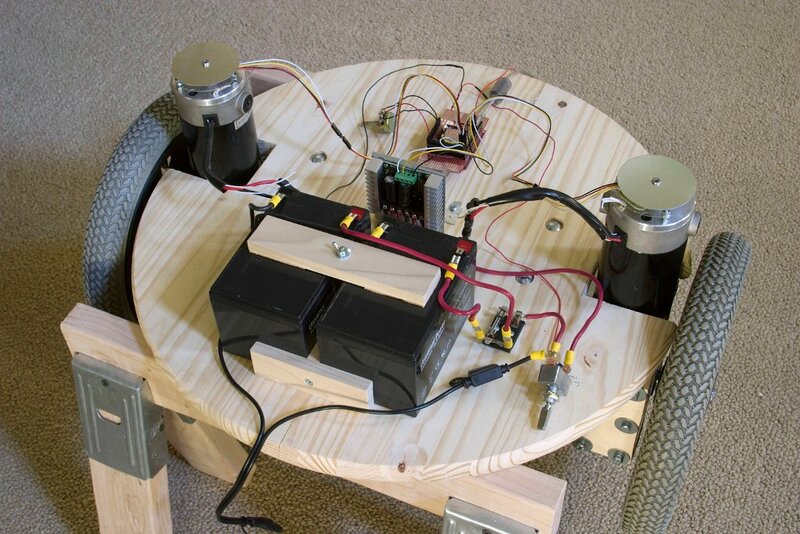 Initially I used the same code that I described in my blog post ‘Building a Self-Balancing Robot: Motor Driver and Wheel Encoder’ for handling the encoder input. Everything worked fine when I turned the motors manually; the interrupts kicked in and the counters were correctly incremented / decremented. However, when I powered up the motors the Arduino program froze. 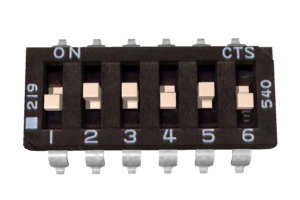 Others suffered from the same experience (see e.g., Missing counting encoder). 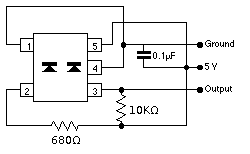 One suggested solution is the use of dedicated quadrature decoder chips like the LS7266R1. 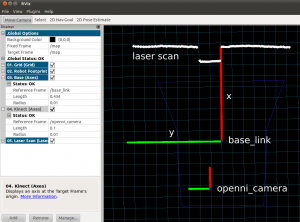 More information about its usage in a robot project can be found in the thesis Design of a Wireless Control System for a Laboratory Planetary Rover by Eric Jamesson Wilhelm. Fortunately no dedicated decoder hardware is necessary (at least in my case). 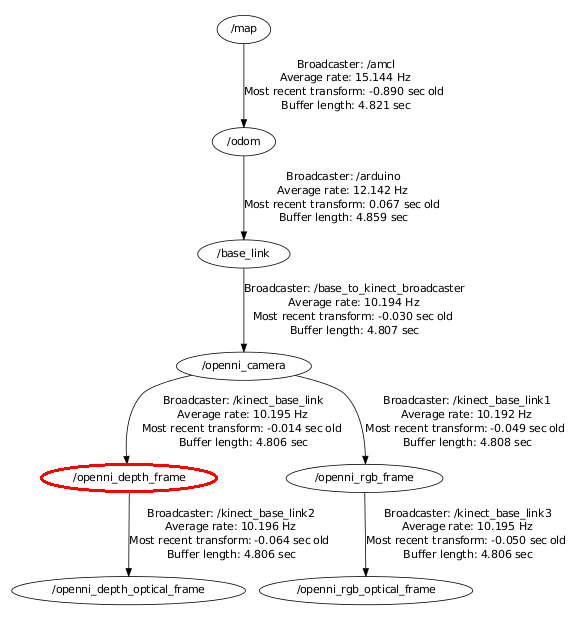 It turns out that the Arduino function digitalRead() comes with a lot of overhead and is correspondingly slow. Both Jean-Claude Wippler (Pin I/O performance) and Bill Porter (Ready, Set, Oscillate! The Fastest Way to Change Arduino Pins) discuss the overhead and demonstrate how it can be avoided by directly reading from Atmel ports rather than going through the Arduino library, thus gaining a factor of about 50 in performance. While directly reading from controller ports certainly solves the issue, it forces you to become familiar with port maps and write code that is specific to a given controller (no simple porting from Arduino Uno to Mega, etc.). This problem has been beautifully addressed by jrraines’ digitalwritefast library (download) which in turn is based on a suggestion from Paul Stoffregen (see http://www.arduino.cc/cgi-bin/yabb2/YaBB.pl?num=1267553811/0). UPDATE: I incorporated Bill Porter’s feedback (see his comment for further detail) to further improve the performance of the code. Since the interrupt only fires on a rising change there is no need to read pin A; it’s value will always be ‘true’. 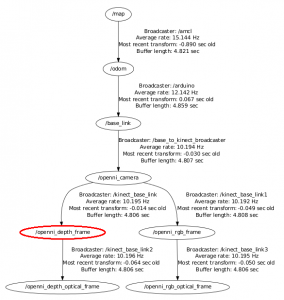 Furthermore by using pre-processor directives #ifdef … #else … #endif the evaluation of an if statement in each interrupt handler during runtime can be avoided. Thanks, Bill! // 40000 encoder ticks per second per motor. Hopefully the code is fairly self explanatory. Since fast reads require that the pins are known at compile time I could no longer use my QuadratureEncoder class. Instead the code for calculating the encoder ticks is now part of the sketch itself and there is a little bit of duplicated code in the two interrupt handlers. For testing I used a 10k potentiometer at analog pin 0. 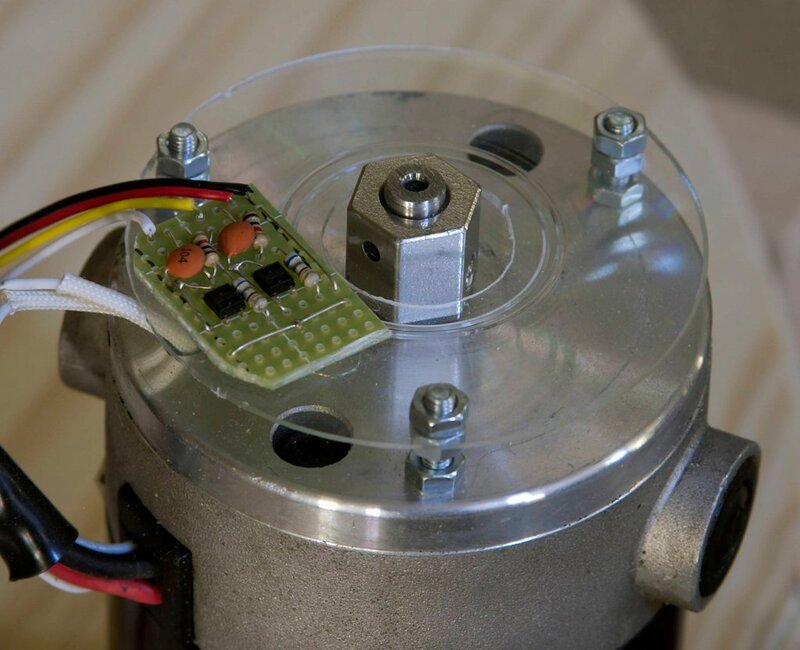 The analog value is used to set the output of two servos that drive a Sabertooth 10 RC Dual Motor Speed Controller. This allowed me to put the motors through their paces and verify that the encoder ticks are correctly caught. 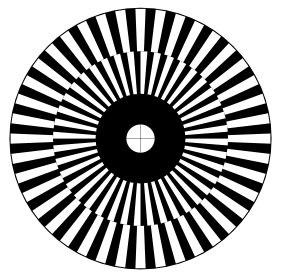 The source code is available from http://code.google.com/p/drh-visual-odometry/ and is covered by the GPL 3.0 license. More details can be found in the presentation slides (pdf) that I presented during last Saturday’s meeting at theRobotics Society of Southern California. To facilitate testing the code without an actual setup I uploaded my test video (61MB!). For better weight distribution the batteries, motor controller and the Arduino Mega board have been rearranged. 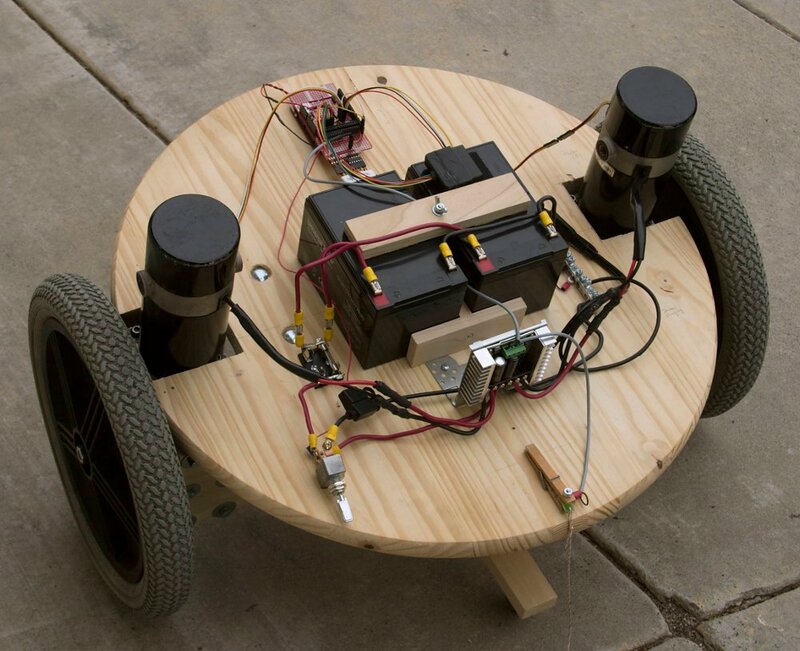 The gray box between the wheels underneath the robot platform houses the 3-axis accelerometer ADX330 and the dual axis gyroscope IDG300. 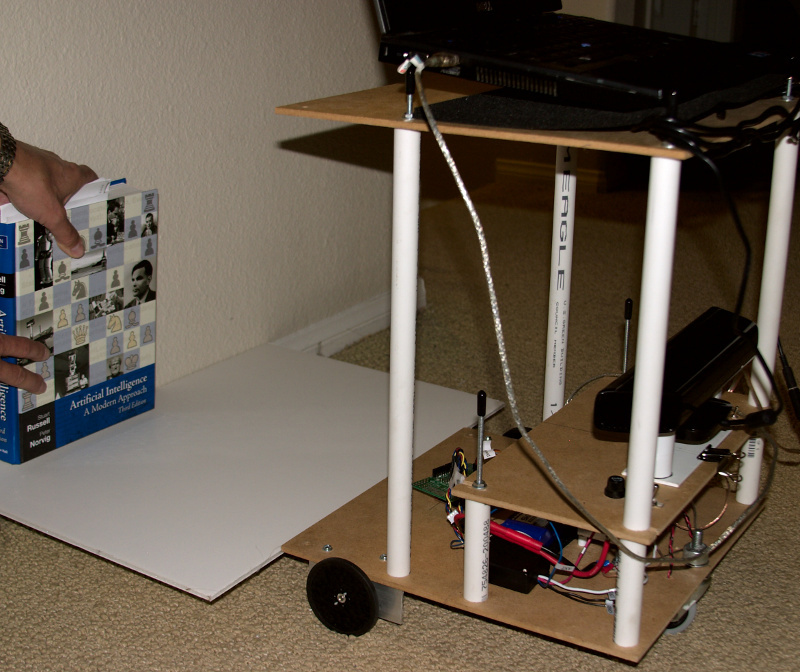 I used the same components as in my Lego prototype (for details see Building a Self-Balancing Robot – The Prototype). All connections are fed into the protoboard that sits on top of the Arduino Mega. 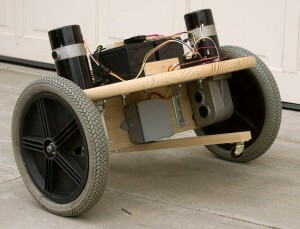 The wooden bar with caster wheels at the end is used to prevent the robot from completely falling over. Naturally the caster wheels don’t touch the ground when the robot is balancing. Enough about the hardware. The vast bulk of the changes since my last blog entry are software related. All the source code is now available as open source and can be accessed from the Google code hosting sitehttp://code.google.com/p/drh-balancing-robot/. The source code includes the Arduino program with its libraries plus a wxPython UI application that is used to communicate with the Arduino controller to retrieve tilt and speed data and to send calibration data to the board. This blog is based on the code as of revision 37. Others deserve a little bit of explanation. The setup of the Sabertooth motor driver has slightly changed since my last post. I now use the much more capable Packetized Serial Mode to talk to the controller. The details are encapsulated in the Sabertooth classSabertooth.h. Using a serial port to communicate with the motor driver has the advantage that apart from the motor drive signals, we can also specify a cutoff voltage. Once the voltage drops below the specified threshold the driver will automatically stop the motors, thus protecting the batteries. // from pin 14 on the Arduino Mega board to S1 on the Sabertooth device. // Setting baud rate for communication with the Sabertooth device. 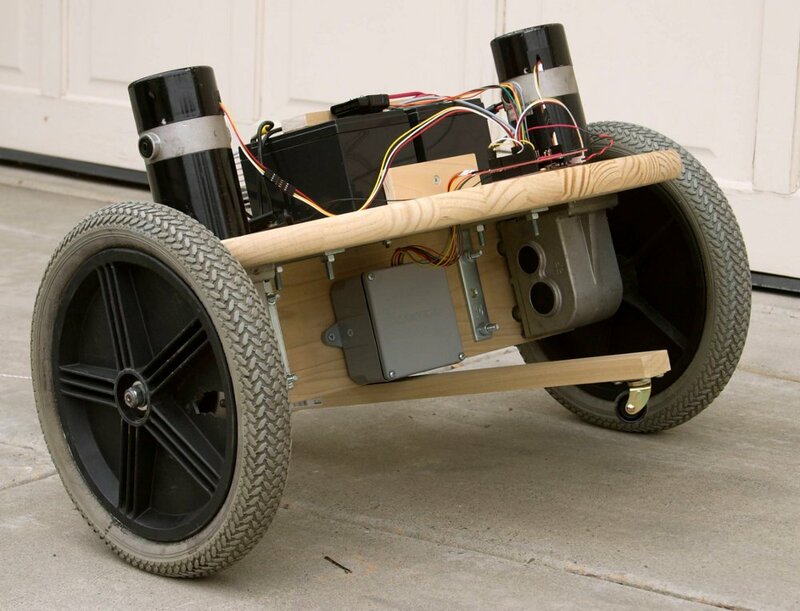 As discussed in my earlier post Building a Self-Balancing Robot – The Prototype, it is necessary to fuse the output of the accelerometer with the output of the gyroscope to get a reliable tilt angle. This is accomplished by a Kalman filter (TiltCalculator.h and TiltCalculator.cpp) that is based on code from Trammell Hudson. Currently I only use the first two terms. 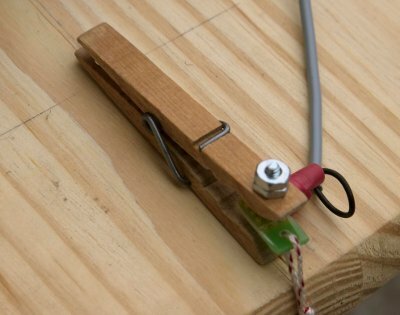 This allows for simple balancing but does not prevent the robot from drifting. The wheel encoders give the information that is required to plug in the last two terms but I just haven’t gotten around doing it yet. David P. Anderson’s excellent nBot pages include a succinct high-level description of the balancing algorithm. 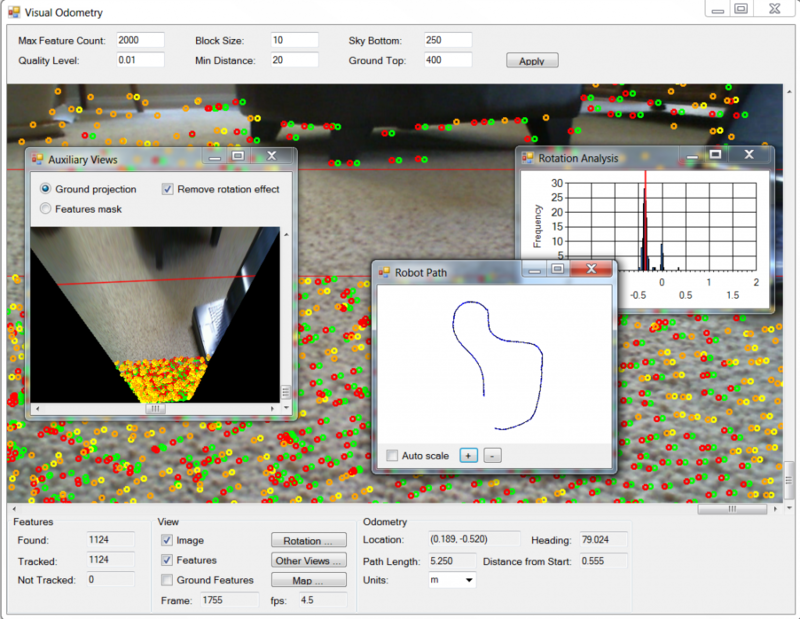 A more technical short description of the ‘Segway’ or inverted pendulum can be foundhere. Provided all the required physical properties of the robot are known, the four parameters K1, … K4 can be calculated. However, in my case it is a matter of trial and error – lots of trial and error. This requires an effective way to see the values that are calculated by the control algorithm and to send parameters to the controller. This ability is provided by a Python desktop application. My ‘native’ language is C# but, inspired by a visit to Willow Garage and their use of Python in ROS, I decided to give Python a try. Python per se is fairly easy to learn; but add to it the desire to decide on a UI framework and to learn how to use it in conjunction with a plotting library and you end up with a bigger job than I was originally planning for. Anyway, I decided on using wxPython as the UI framework, Pydev for Eclipse as the IDE, andmatplotlib as the plotting library. I got it working but I am sure I am breaking the Zen of Python in numerous ways. I won’t describe the code in detail. It can be downloaded from the Google code project page drh-balancing-robotalong with the controller code discussed above. The browsing entry point is http://code.google.com/p/drh-balancing-robot/source/browse/#svn/trunk/PythonClient/RobotController/src. Again, please note that this blog entry is based on revision 37 of the code. The code is very likely to change in the future. The lower panel shows a real time graph of the speed of the two motors. I used it to calibrate the speed controller logic. However, since it is not used for balancing I’ll ignore it here. 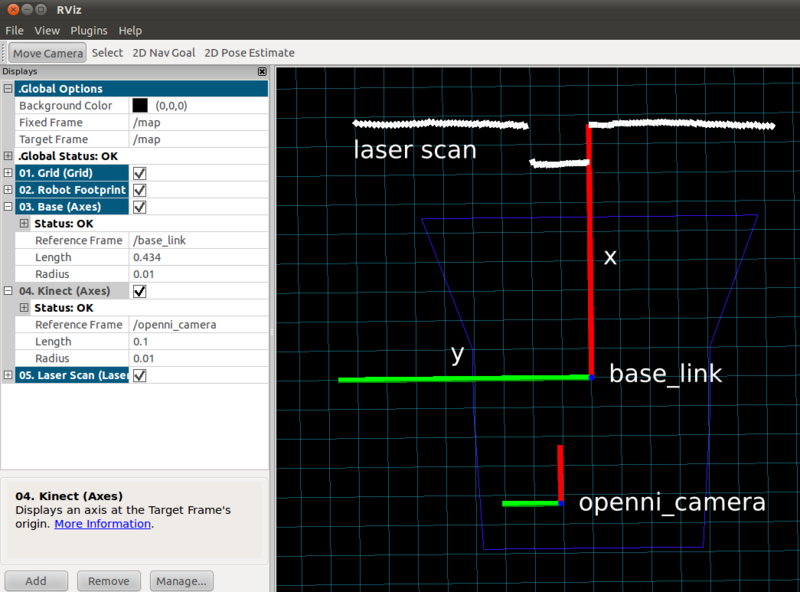 Here is a short video that shows the real time graphs while I tilt the robot back and forth. Menu entries allow the user to define or change the balancing parameters and speed controller (again, not used here) parameters and send them to the Arduino controller. The bidirectional communication with the Arduino controller over the serial port is handled by \Model\DataAdapter .py in conjunction with Support\SerialDataGateway.py. The robot is stable as long as it is not pushed too hard. Unfortunately the used wheelchair motors have quite a bit of play in their gears resulting in jerky back and forth swings around the center point. 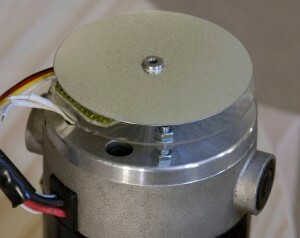 Also the motors are quite slow and hence cannot compensate for even moderate pushes of the robot. Running the motors at 24V instead of the current 12V will improve the speed issue somewhat but ultimately I am afraid the motors might not cut it. I will post a video of the balancing in action shortly.